Special offer price of £25 from our website (RRP £30). All net proceeds from sales go to the National Garden Scheme. George Plumptre, Chief Executive of the National Garden Scheme, has published this superb new book which reveals the story of the English Country House Garden in a series of five chapters that describe a total of 25 gorgeous gardens. The book is comprehensively illustrated with stunning photographs by Marcus Harpur. Prior to joining the National Garden Scheme, George enjoyed a distinguished career as an author and journalist. 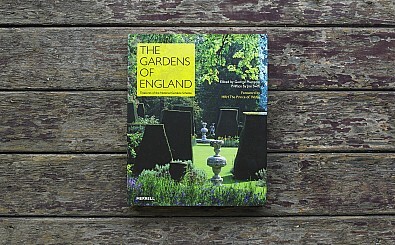 He has published more than ten books on gardens and was for a time the Gardening Correspondent of The Times. Please allow 7 – 14 days for delivery.